As education and teaching have become intrinsically entwined, teachers need to develop the necessary knowledge and skills to integrate effectively technology into their teaching. Teacher educators are thus required to infuse technology throughout their programs and support trainees connect between technology and pedagogy within a given context. Yet, the question that can be raised is: How can teacher education programs prepare young teacher entering the profession to teach with learning technology and digital content? To elaborate on this issue, a study was conducted on a sample of teachers, using a survey questionnaire distributed online. This study seeks to address what teachers must know, understand and be able to do with regard to instructional technology. The research findings are meant to inform both teacher educators and program designers about the kind of training required to assist teachers with technology integration. 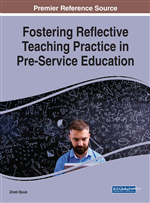 Based on the data obtained, a set of suggestions for teacher educators are recommended for pre-service teacher training contexts. A fundamental challenge teachers face is integrating technology into their classroom practices to create more dynamic learning atmosphere and further students’ learning. As Spector (2012) notes “technology integration is perhaps the most challenging and complex aspect of designing educational environments and systems of instruction” (p.151). However, teachers need to understand what technology integration means. According to Morton (1996) technology integration is not simply using the computer as a tool like the blackboard or the overhead, which may require little or no training and may not even need to be used. Within such conception, “the computer environment remains peripheral, an ‘add-on’ in space and time” (Morton, 1996, p. 417). Instead, technology integration focuses on “how to use technology to support the way teaching is currently done in the schools” (Reigeluth & Joseph, 2002, p.09). It follows that technology integration does not imply having technology regardless of how it is used, but it has to do with “determining which electronic tools and which methods for implementing them are appropriate for given classroom situations and problems” (Roblyer, 2003, p.08). In this respect, Mishra and Koehler (2006) describe technology integration as a combination of technology and pedagogy within a particular content area. Thus, technology integration has to be purposeful, i.e., has a pedagogical intent, and an integral part of how the classroom functions. It needs to account for which digital tool needs to be selected to support teaching and learning, when and how it should be introduced and integrated within the content to attain a teacher’s instructional goals.